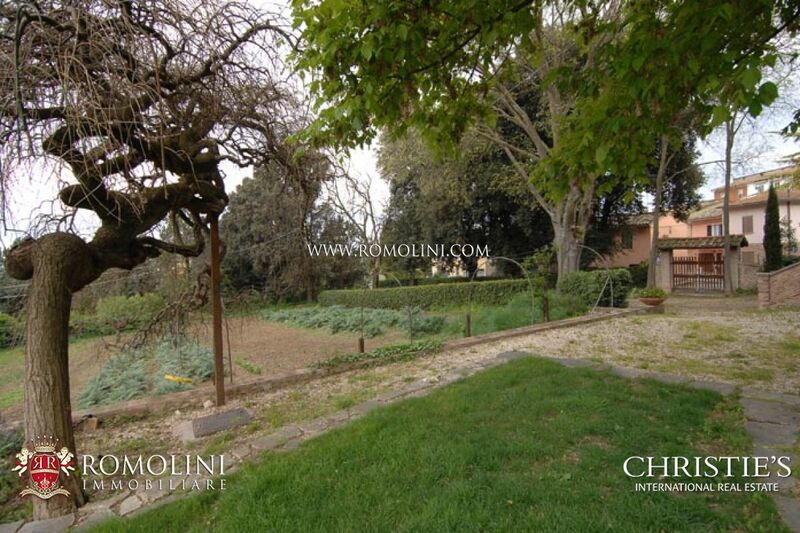 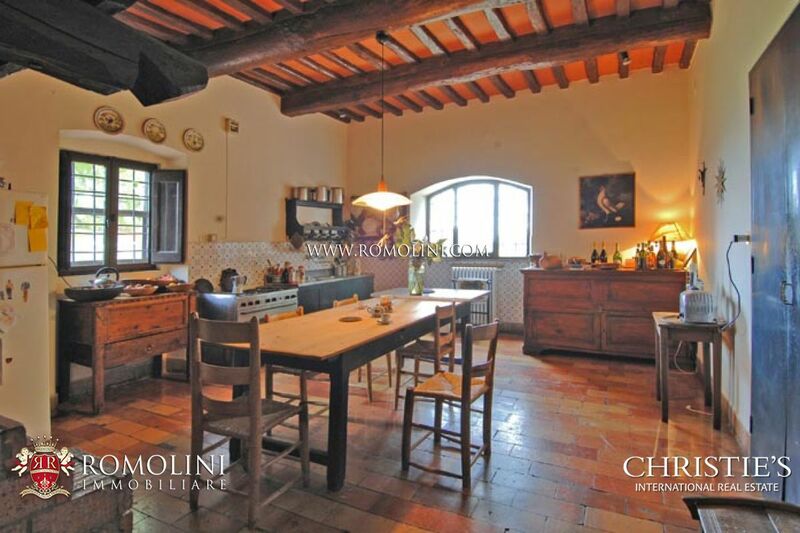 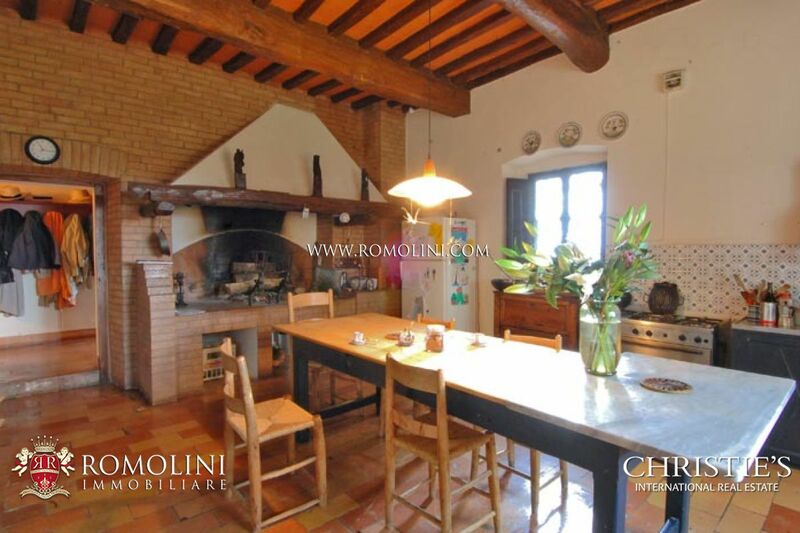 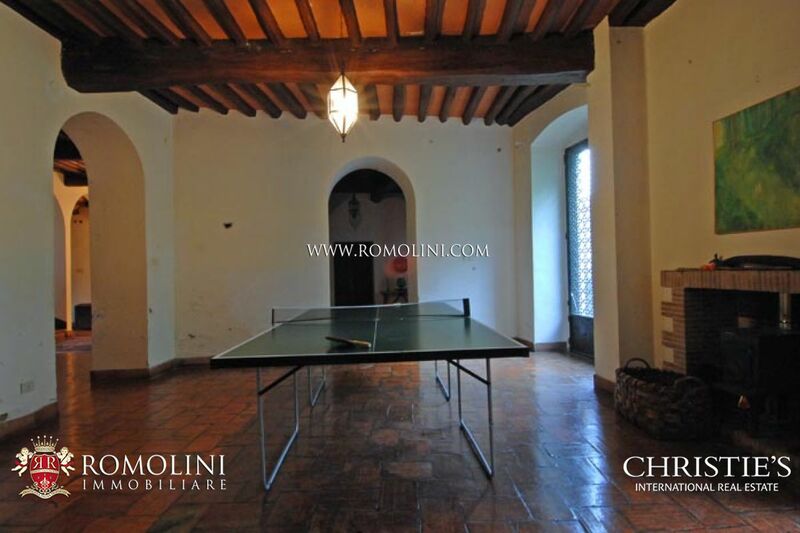 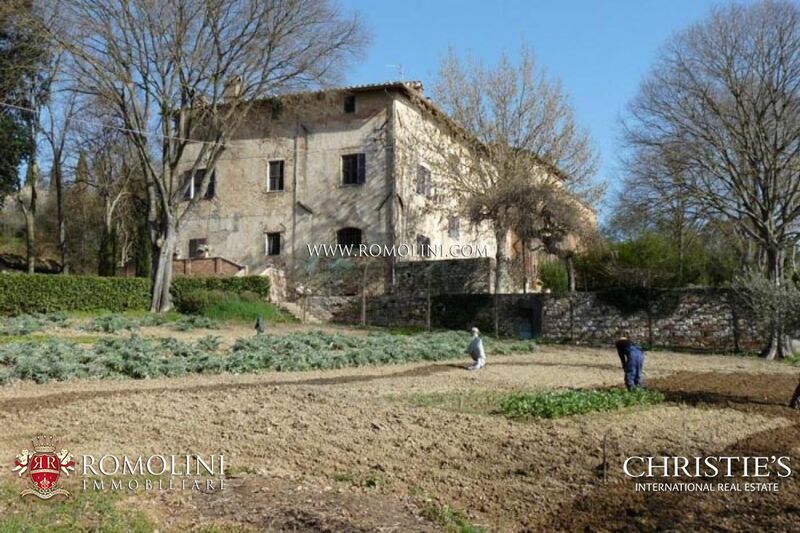 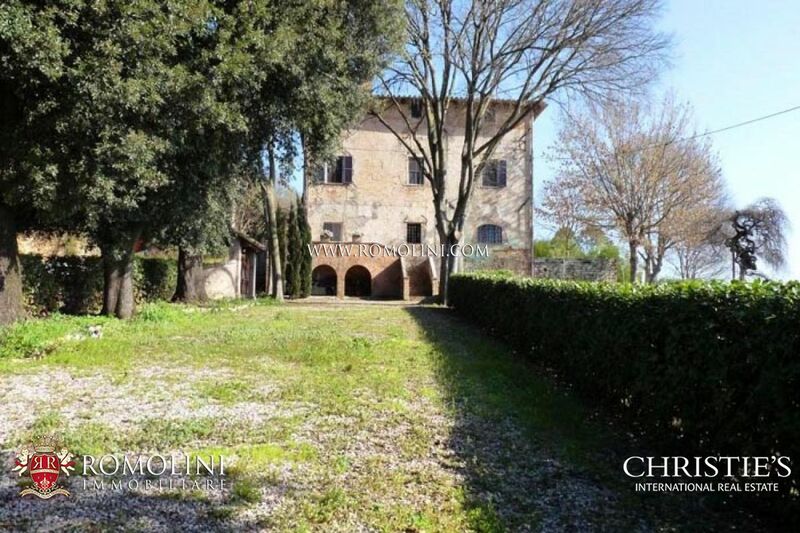 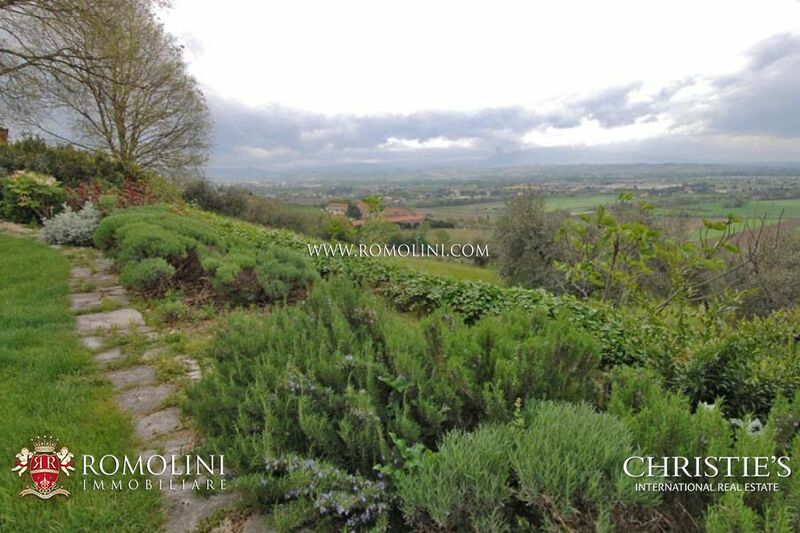 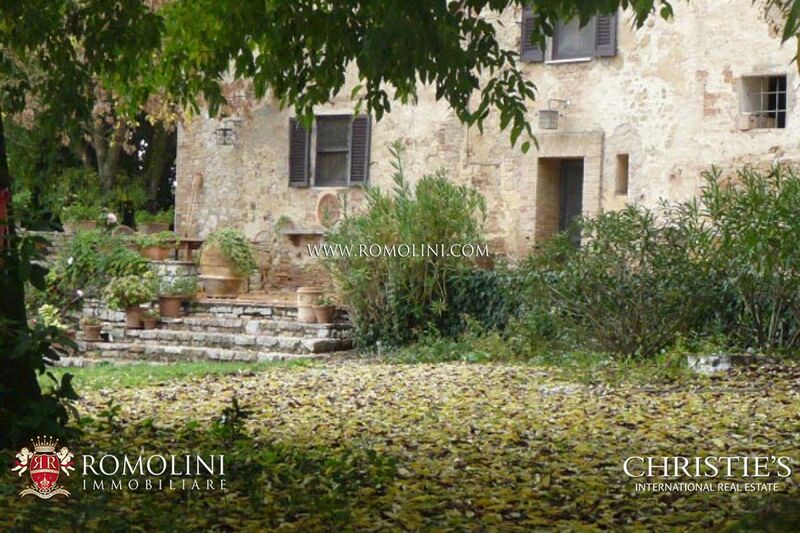 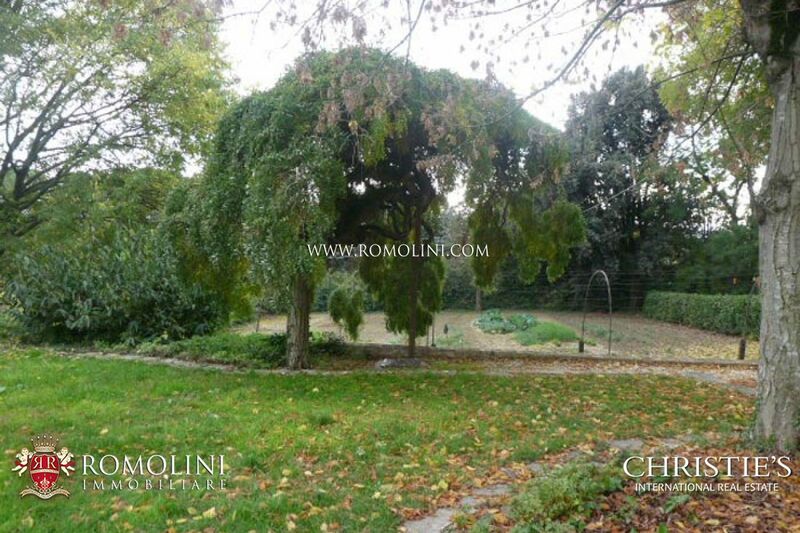 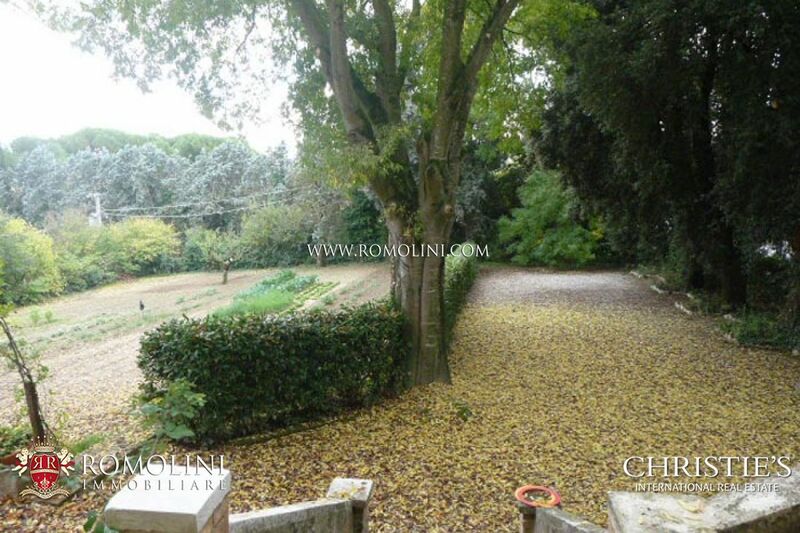 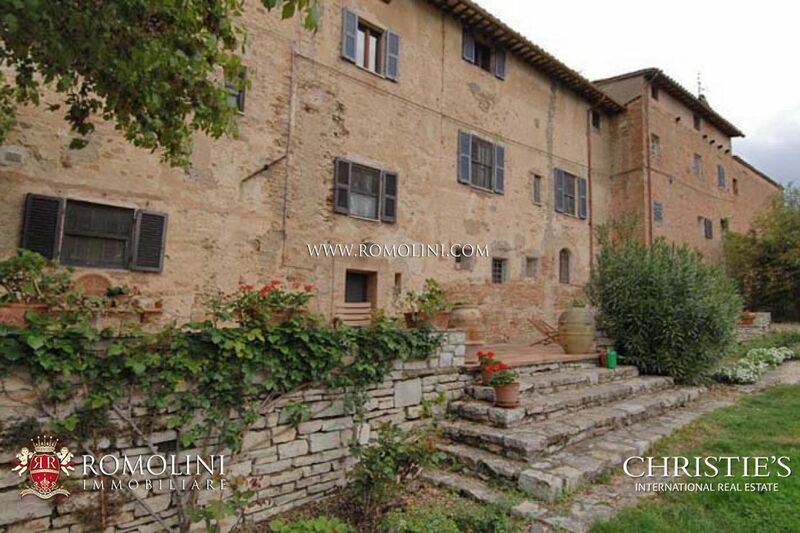 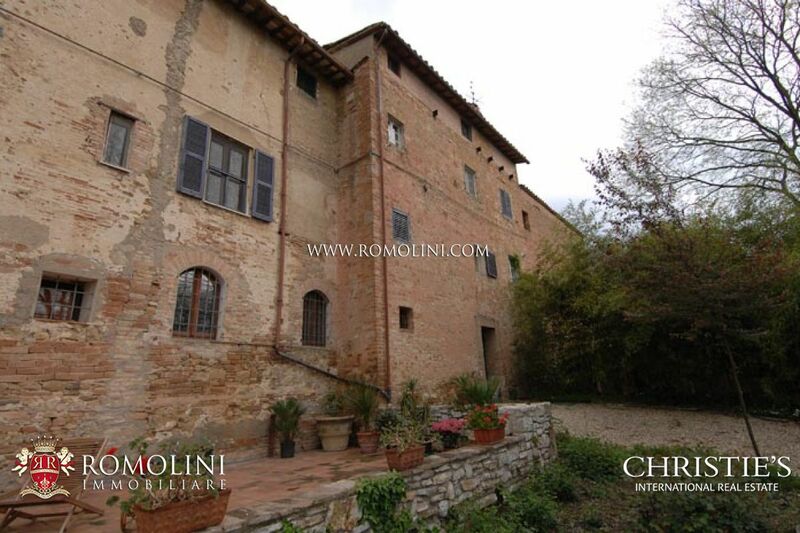 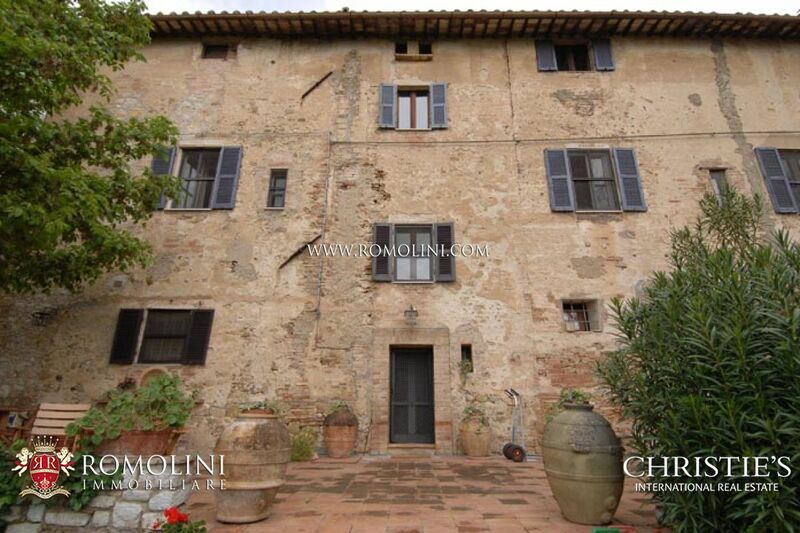 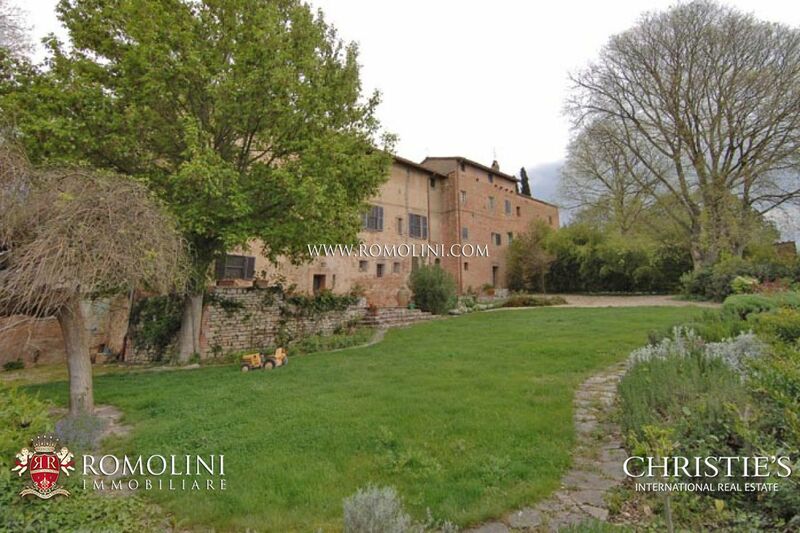 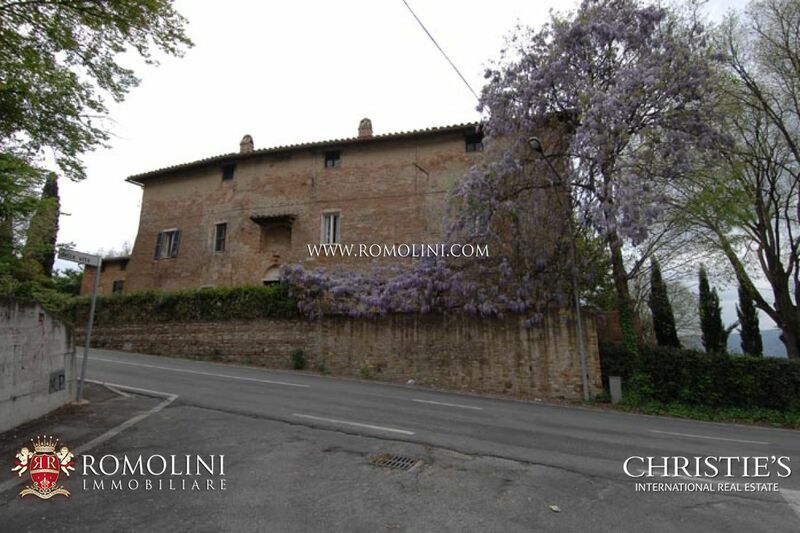 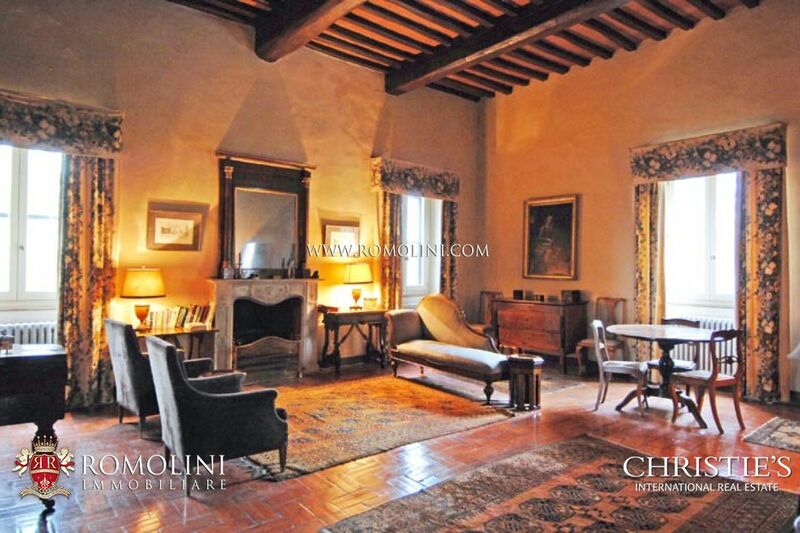 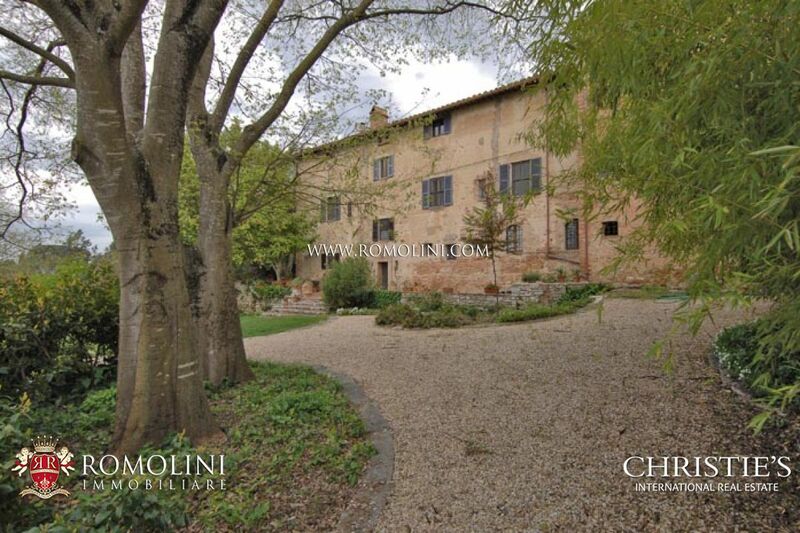 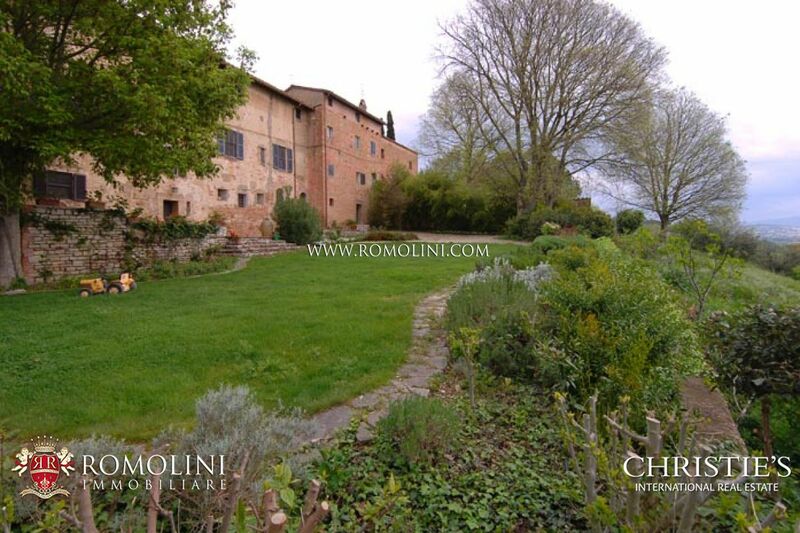 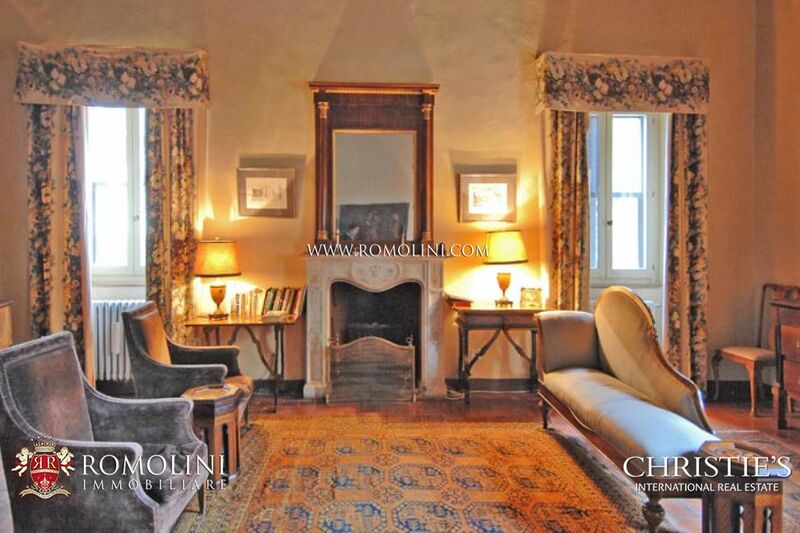 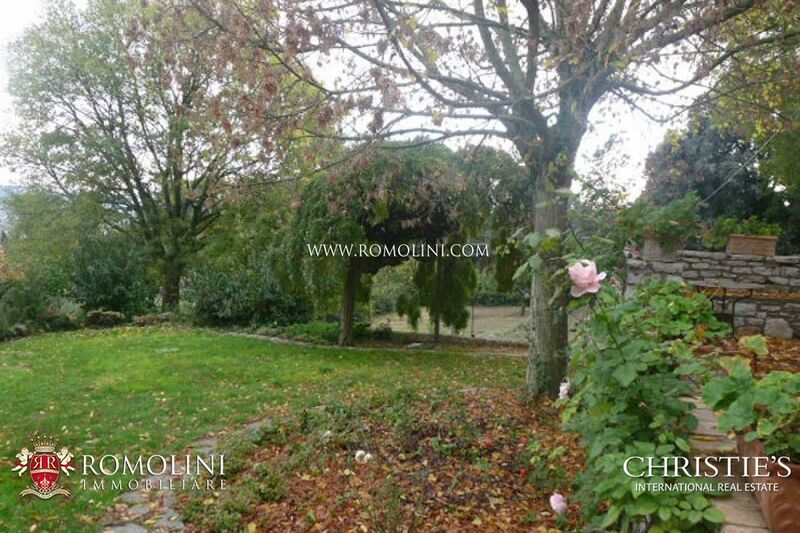 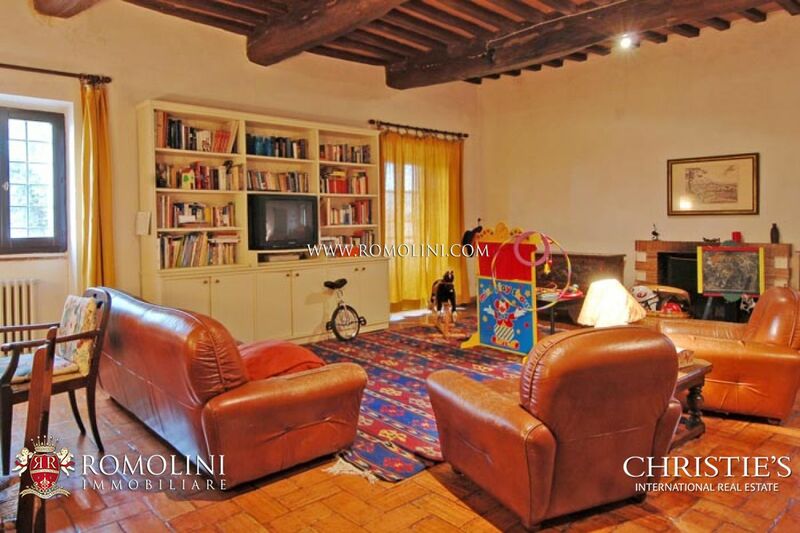 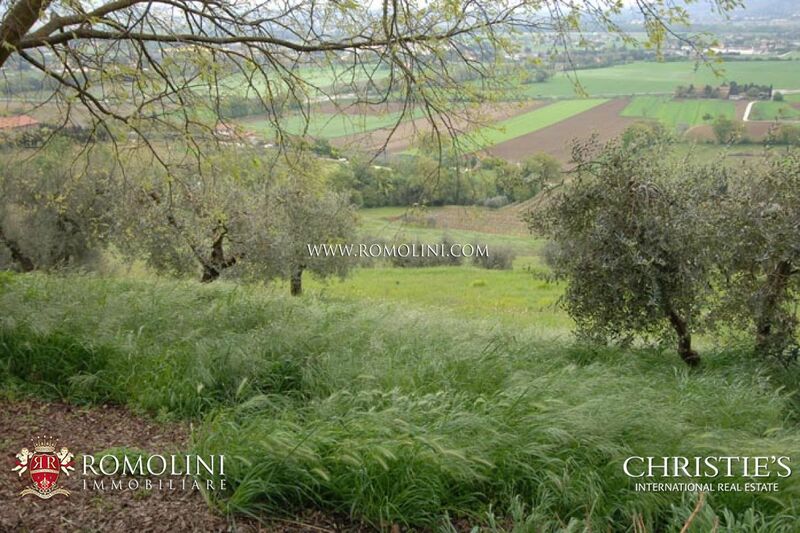 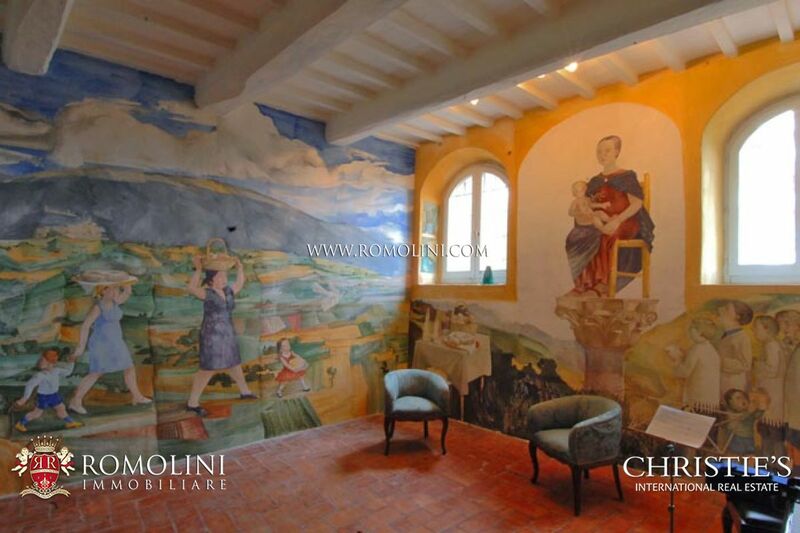 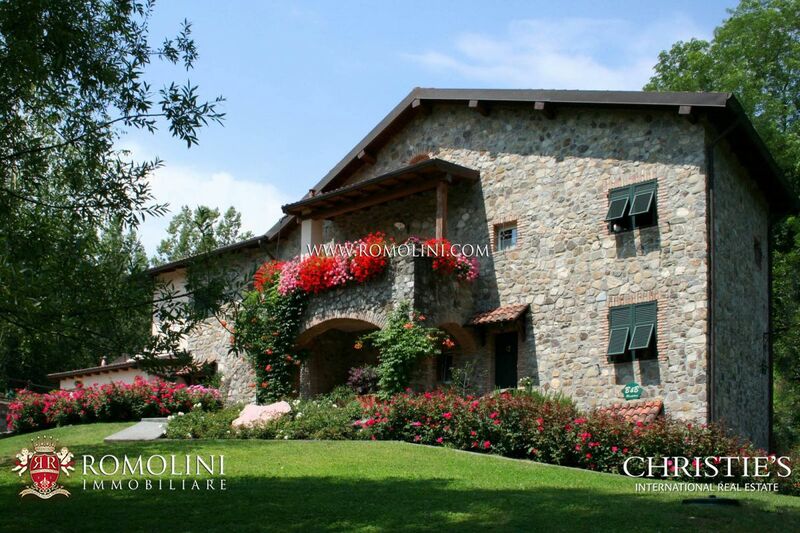 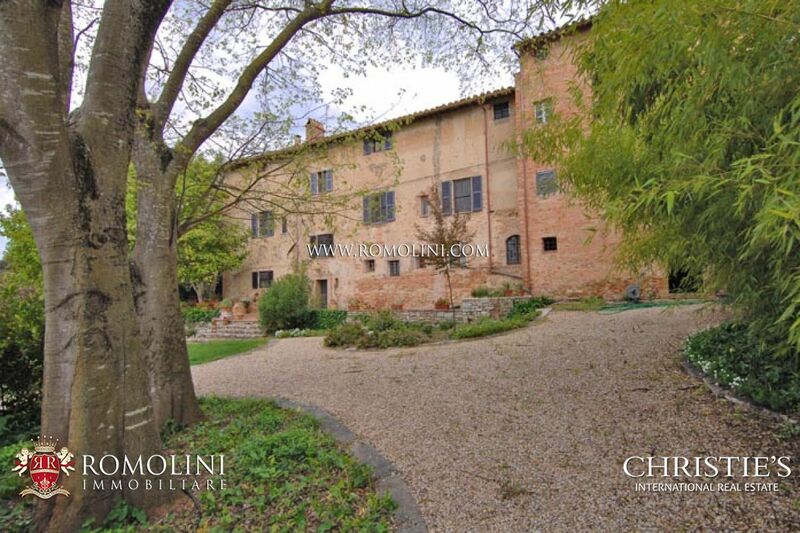 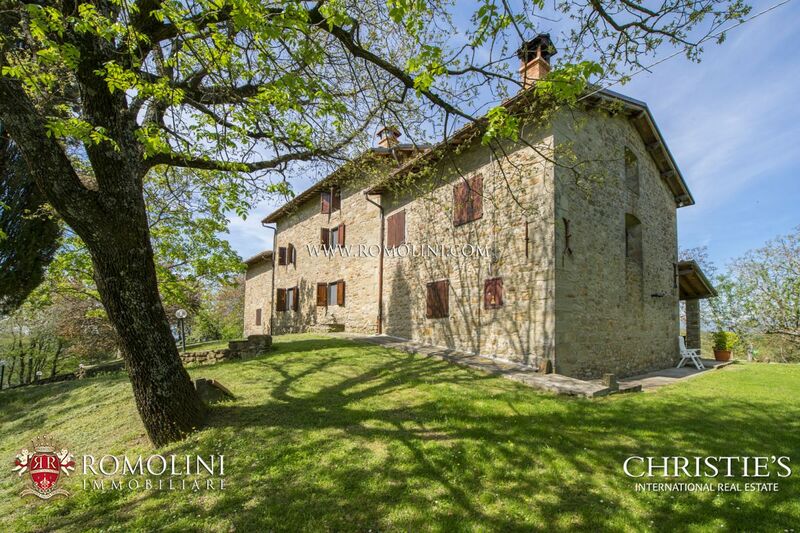 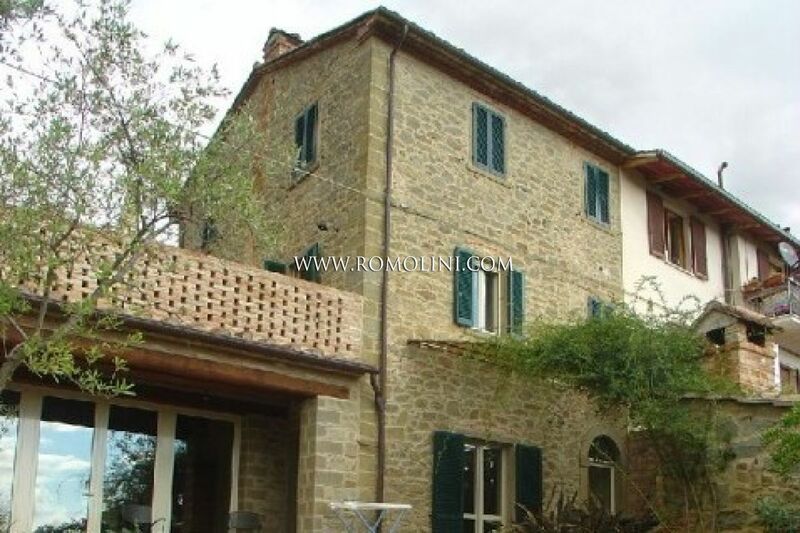 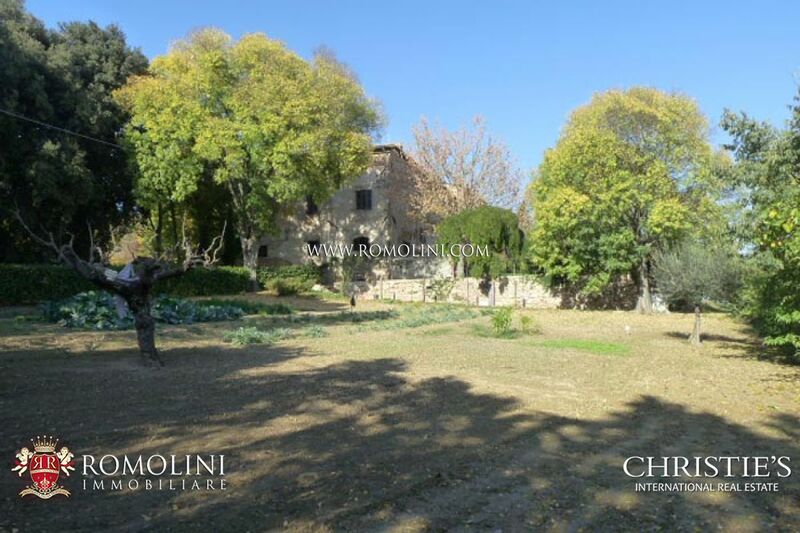 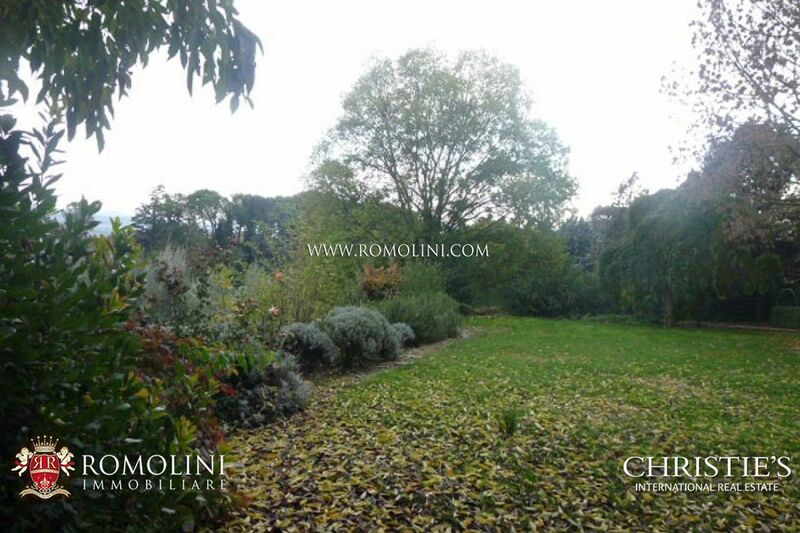 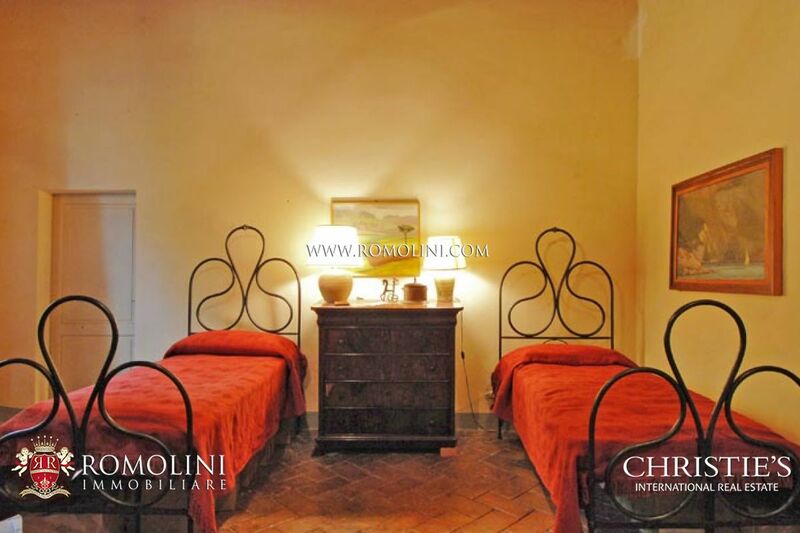 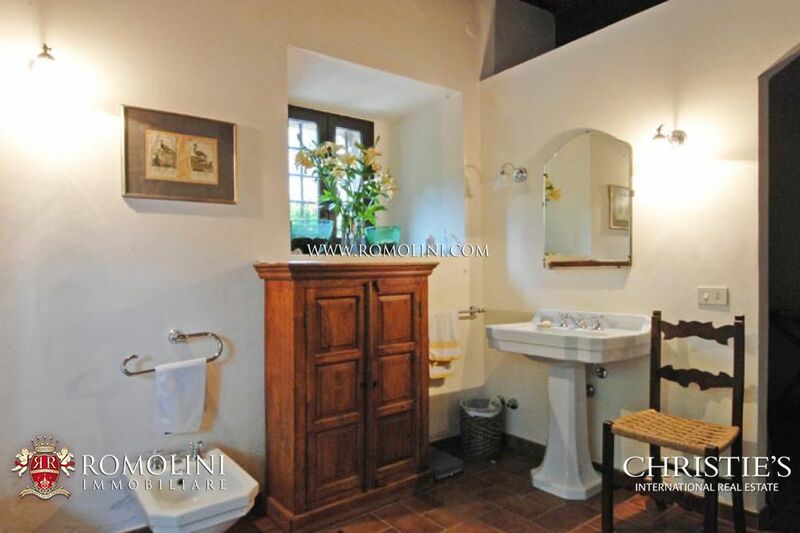 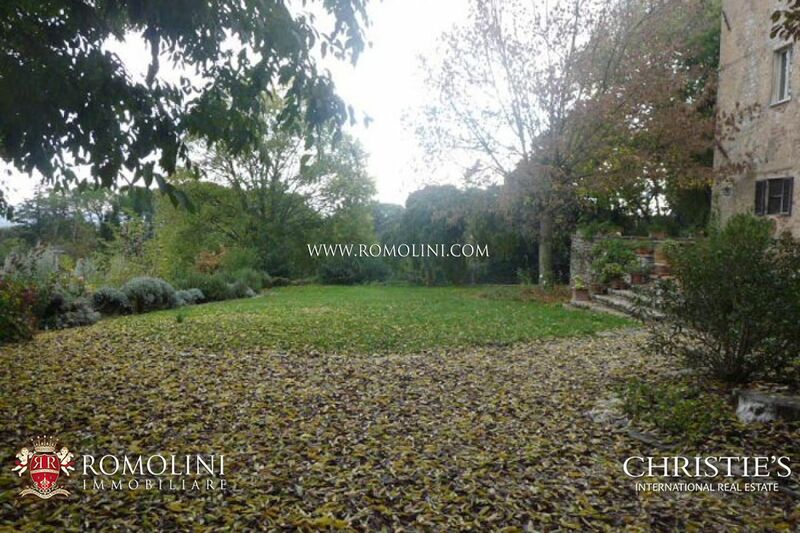 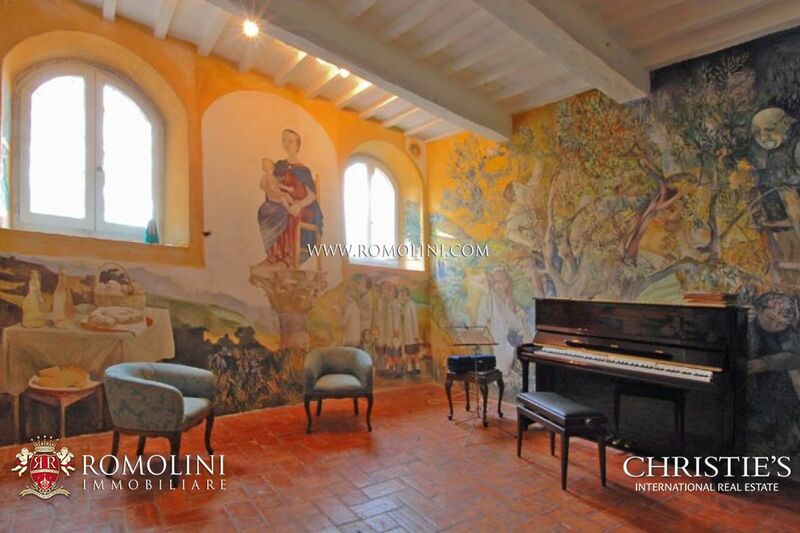 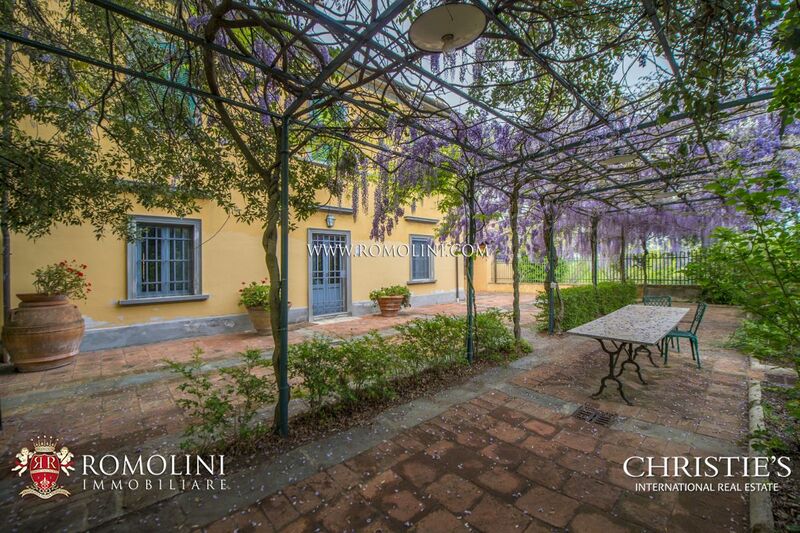 HISTORICAL MANOR HOUSE FOR SALE IN PERUGIA, UMBRIA. 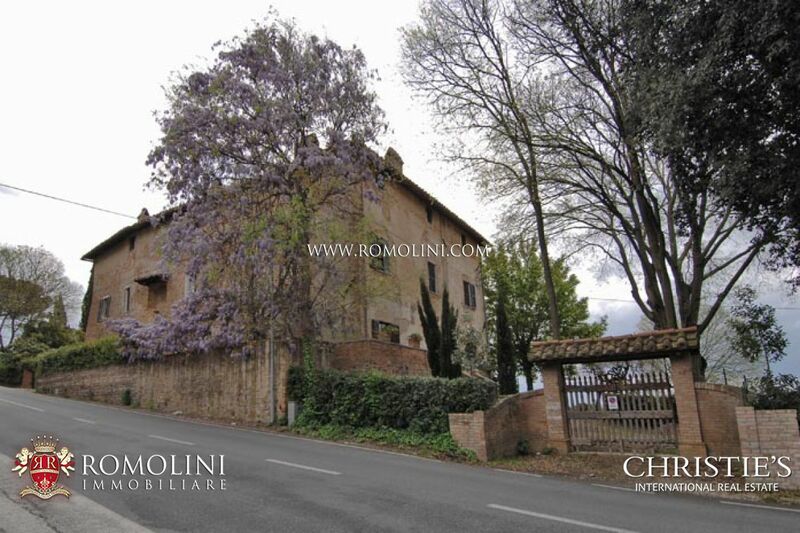 ACCESS: Asphalted road. 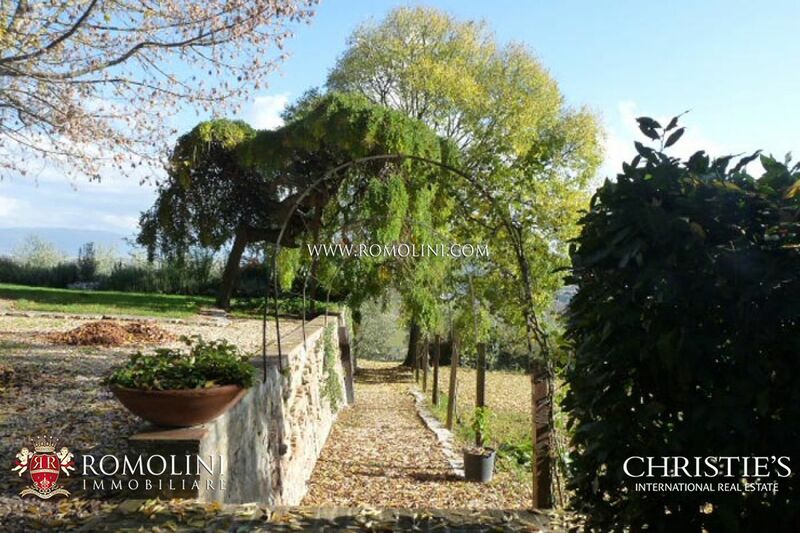 Two gates with large parking area. 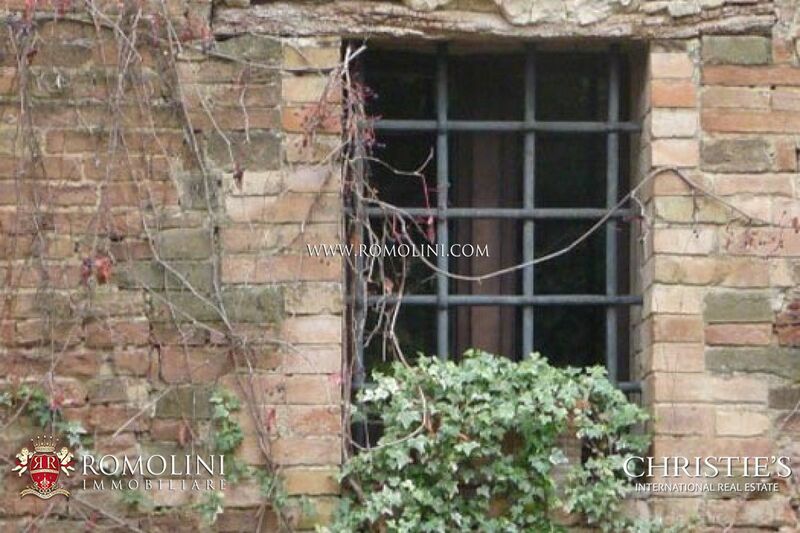 WATER: Mains water + ancient well. 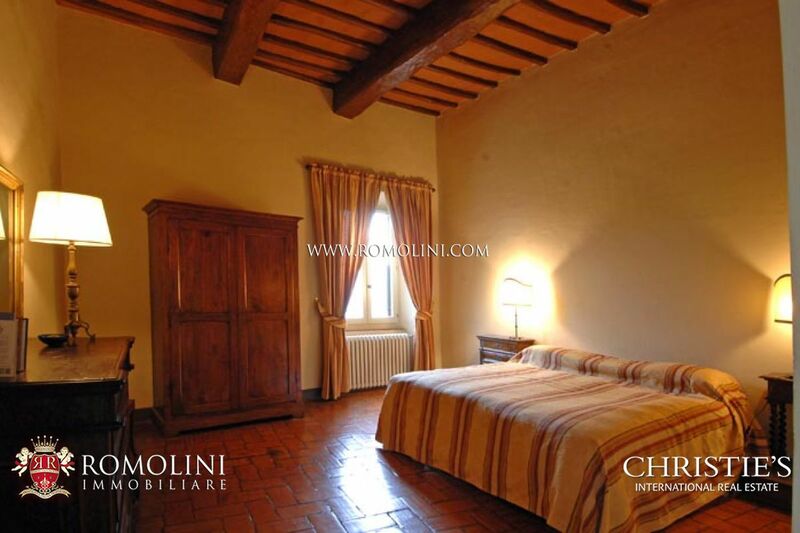 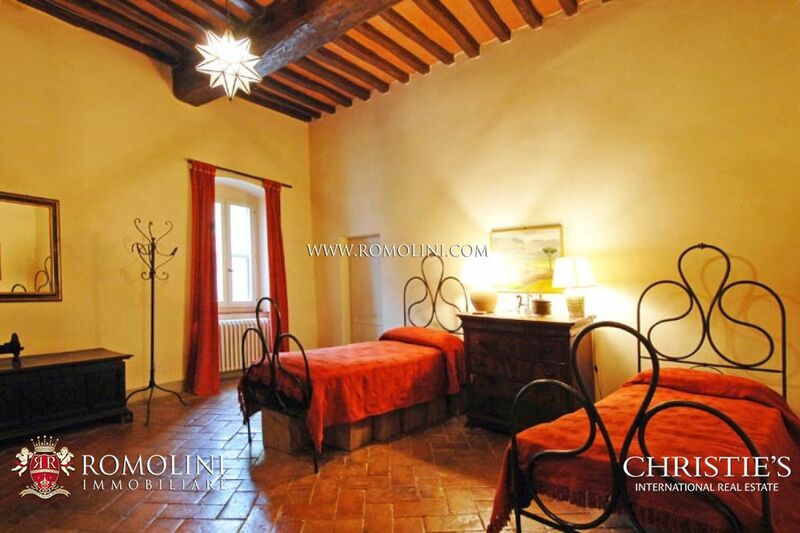 FEATURES: Original Medieval characteristics, original floor tiles, massive beams, frescoed chapel (unconsecrated). 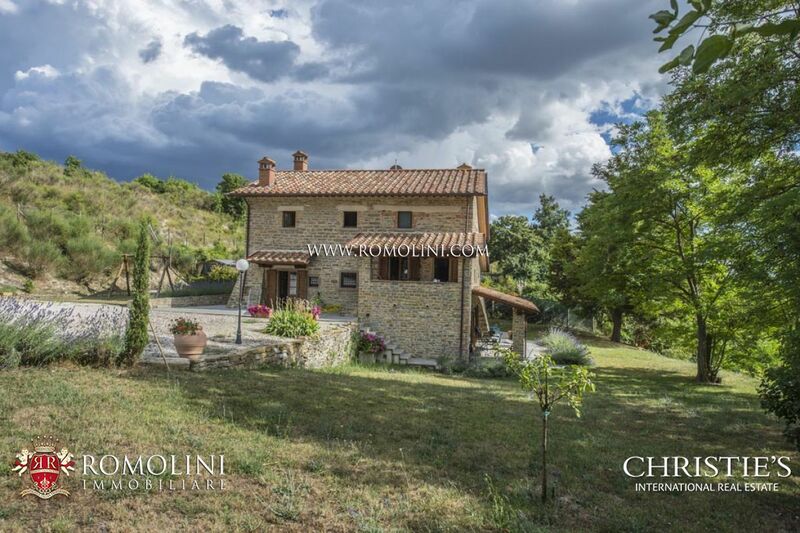 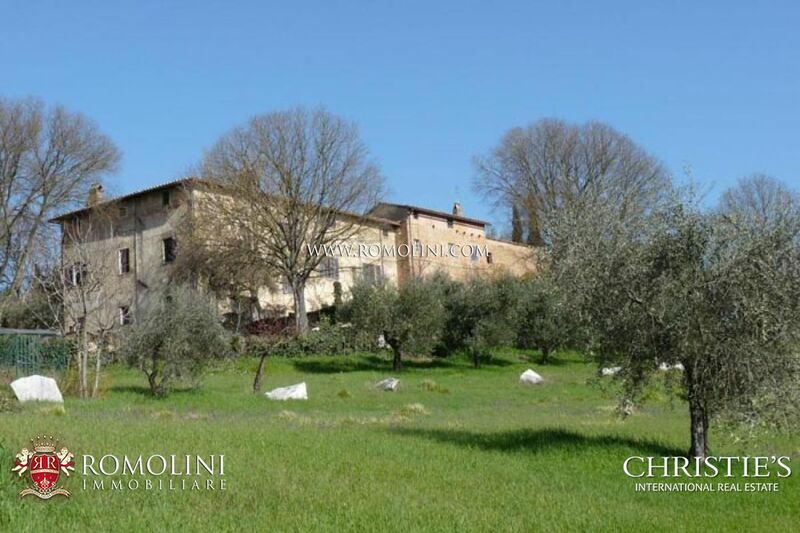 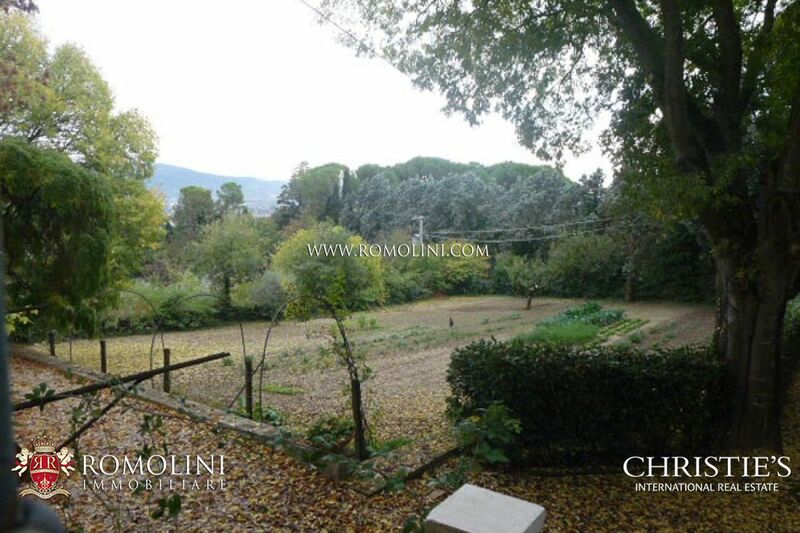 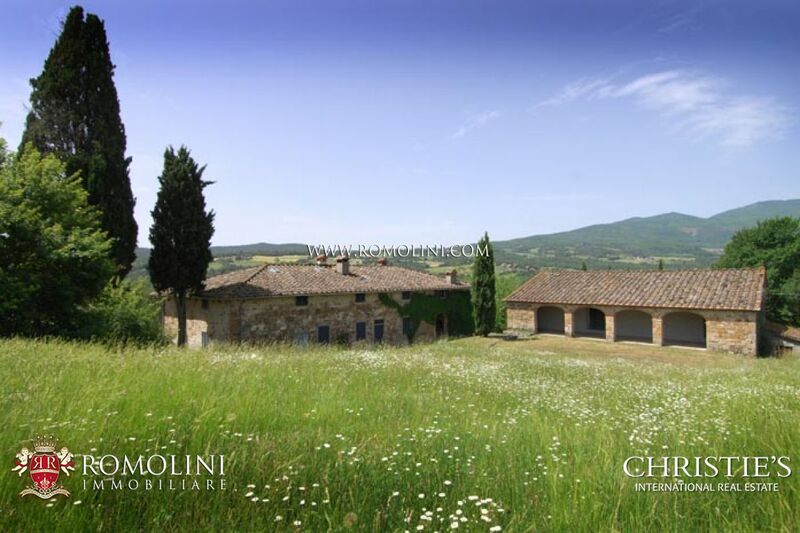 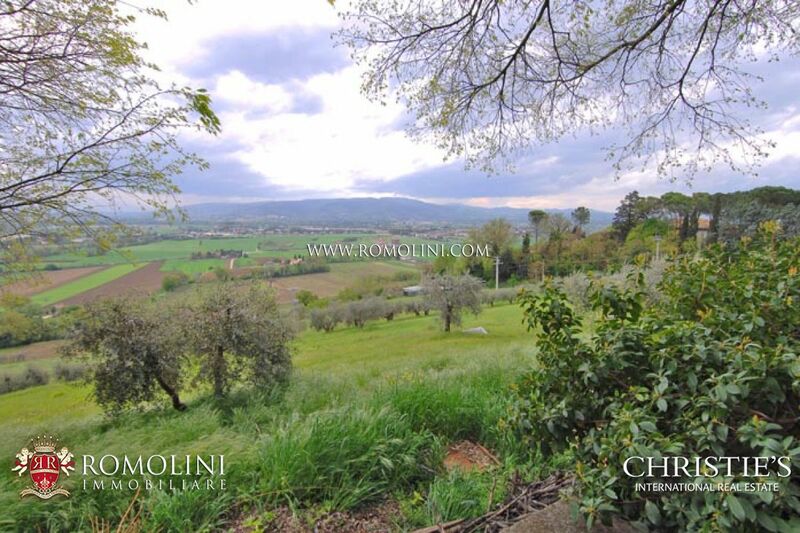 In the heart of Umbria, at only 6 km from the historical centre of Perugia and 20 km from Assisi, historical villa dating back to the Communal period with private park. 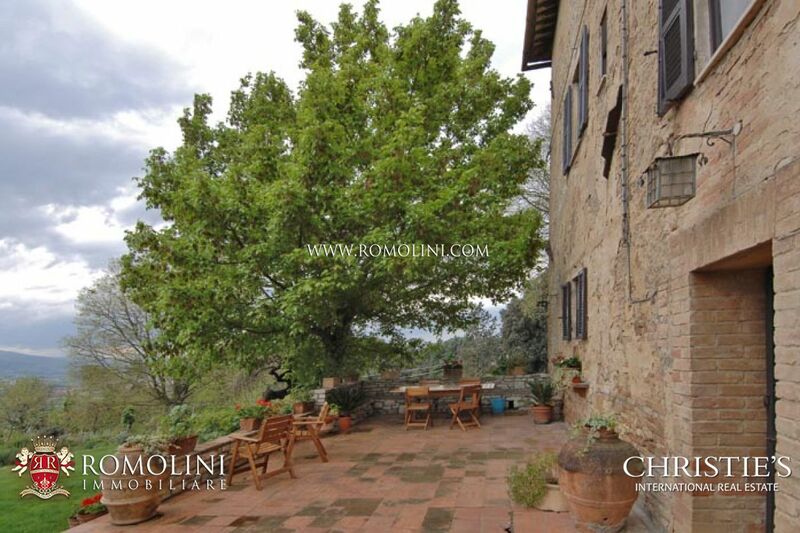 The nucleus of the main house is a look-out tower dating back to the age of the ‘commune’, a time characterized, among other things, by the ‘encastlement’ of villages in defense of the city. 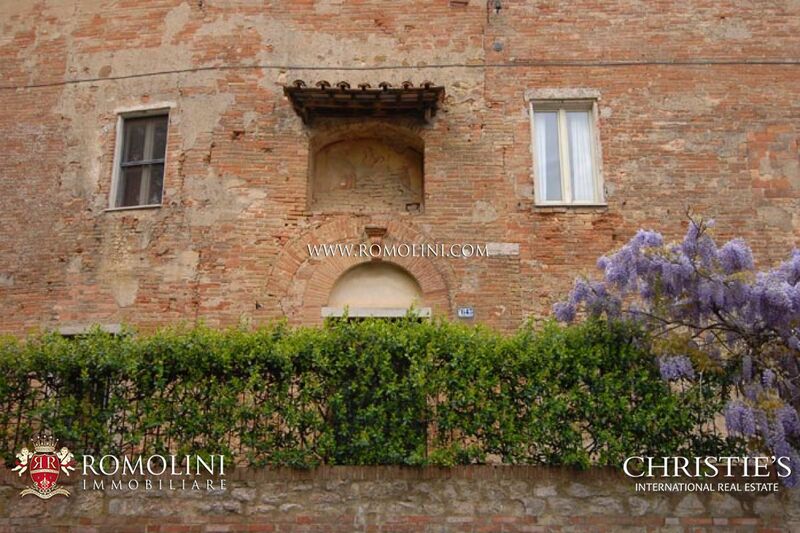 Thus it was that by statute in 1311, the city of Perugia ordered the village of San Fortunato to be fortified, our look-out tower being part of the fortification. 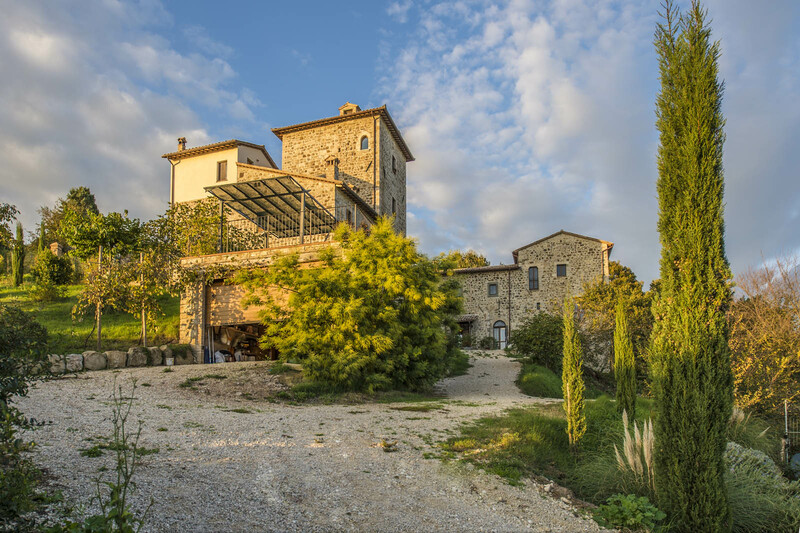 Situated along a high road, in ages past known as ‘del colle’, in a territory known since antiquity for its vine and olive groves, the tower was eventually added-to and enlarged, first as a fortified house and ultimately as manor. 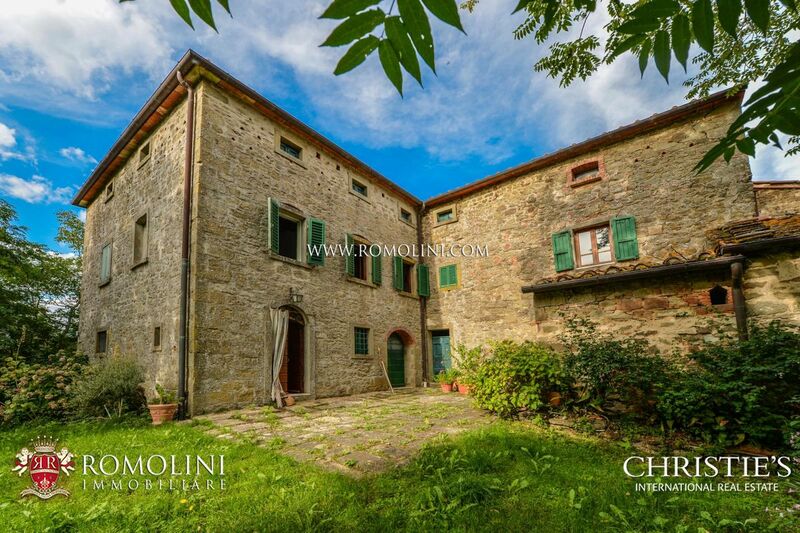 In the 19th Century it hosted a small religious community. 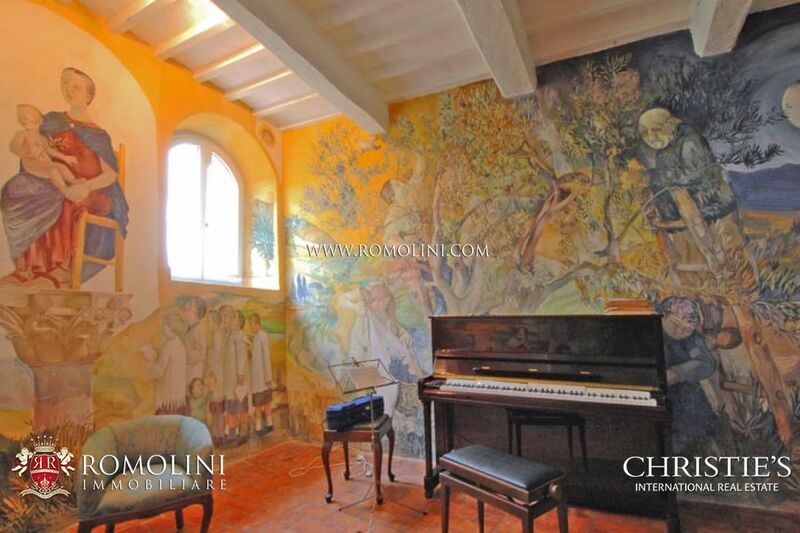 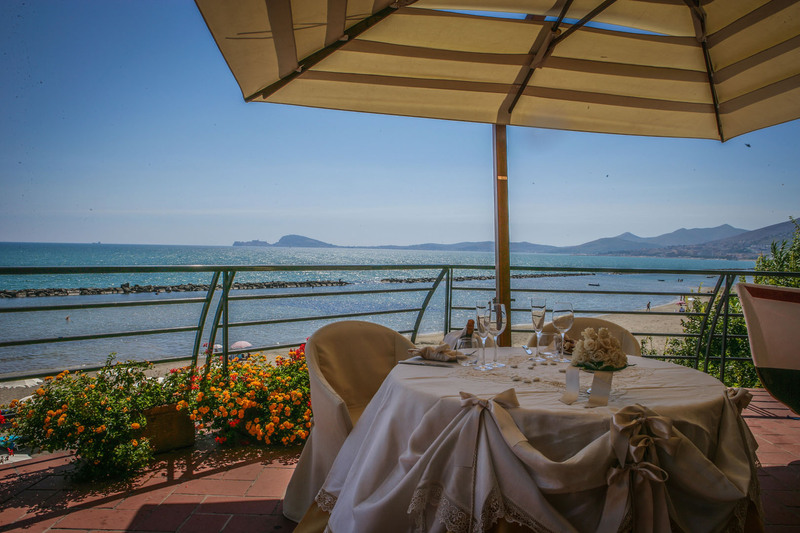 For the last fifty years it has been owned by the family of a well-known American poet. 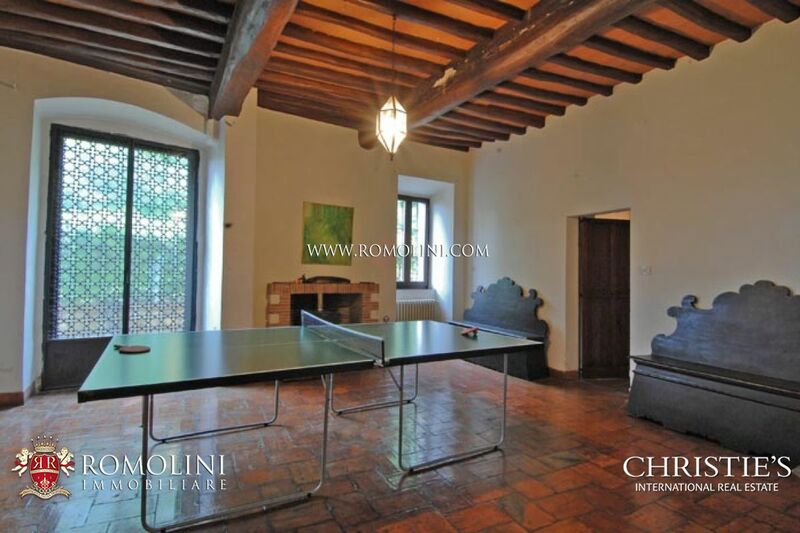 The soaring ceilings, the massive wooden beams, the antique floor tiles, the expanse of the spaces, create a very Umbrian feel, a little austere but generous at the same time. 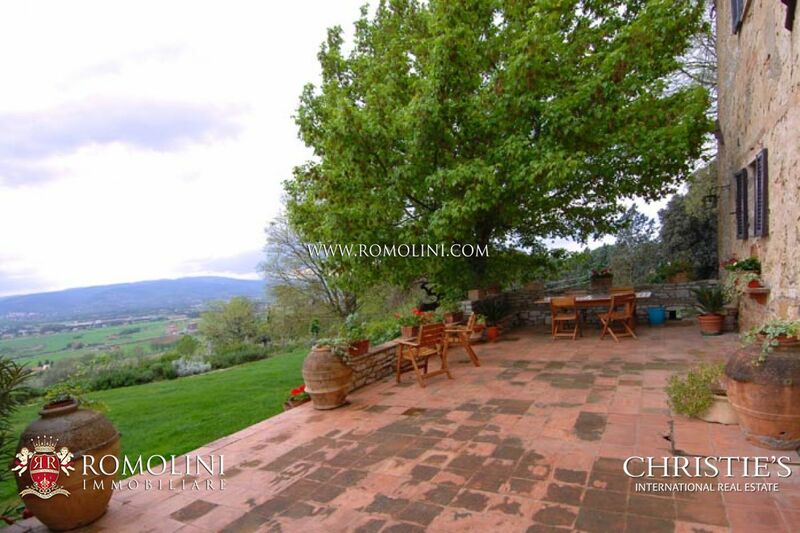 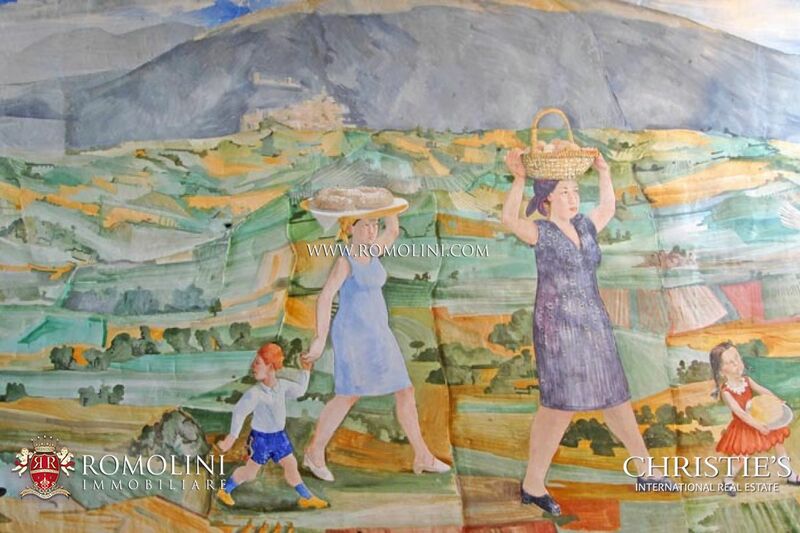 Indeed, the house is both a product of, and witness to, the history of Umbria. 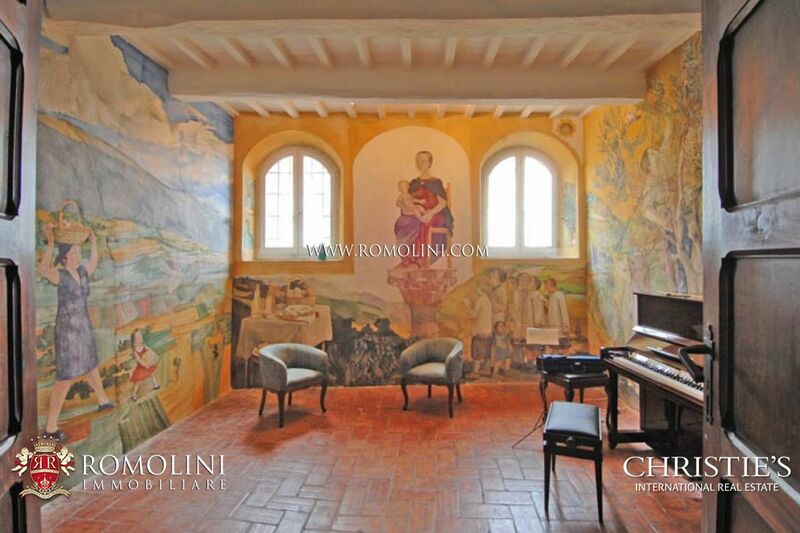 The front door opens onto a luminous hallway with to your left the unconsecrated chapel which has been entirely frescoed by distinguished American painter. 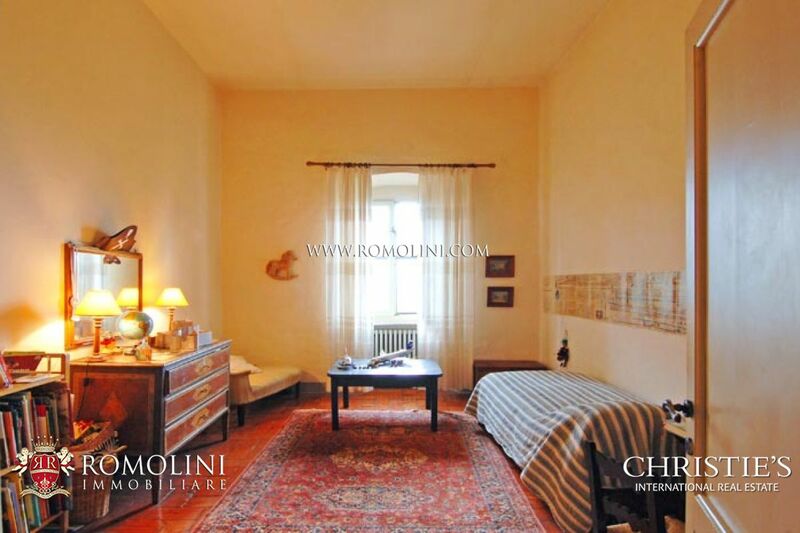 To the right is a large room with fireplace and next to it a spacious bathroom and ironing room. 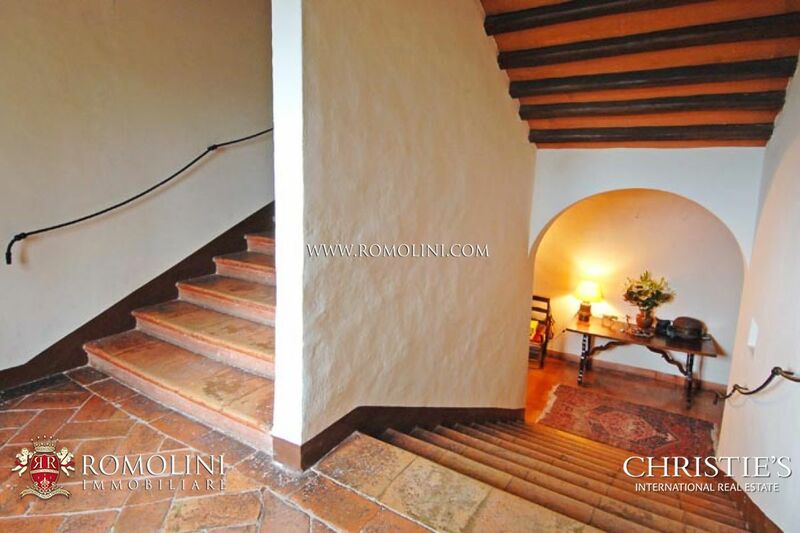 Further to your left is a grand staircase leading to the upper floors. 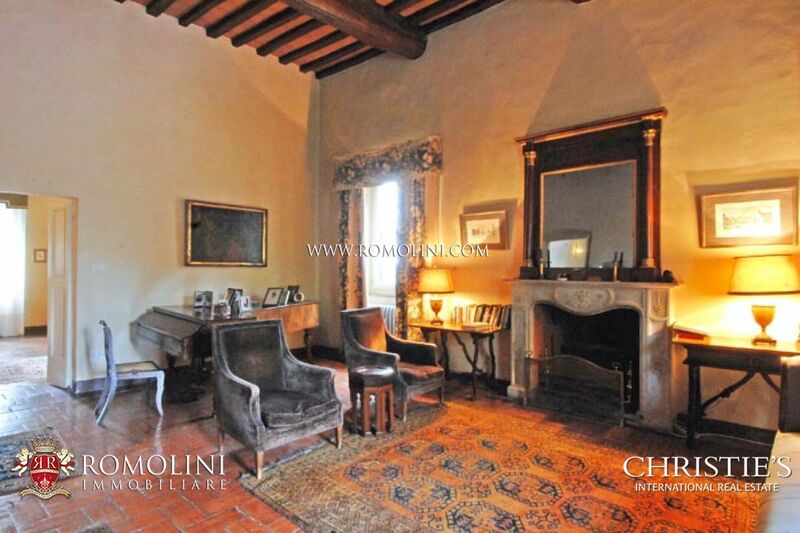 This floor also includes a first bedroom, a large kitchen with fireplace, a large living room and dining room. 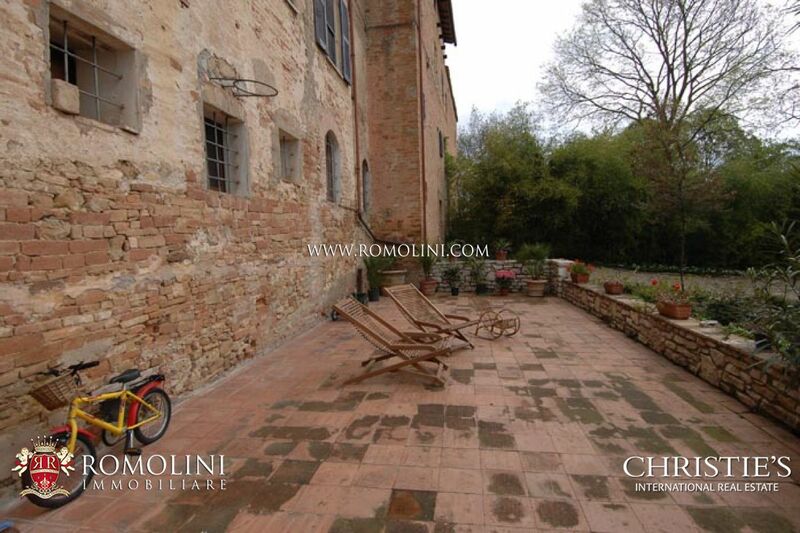 There is also access to the terrace and garden. 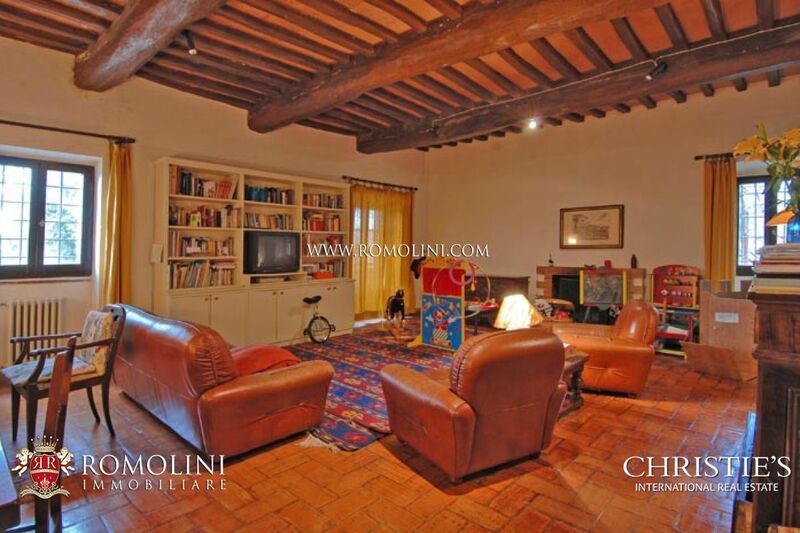 With ceilings 3.50 meters high, this floor includes a splendid formal living room with fireplace, a double bedroom with en-suite bathroom and a study, as well as another four double bedrooms and a bathroom. 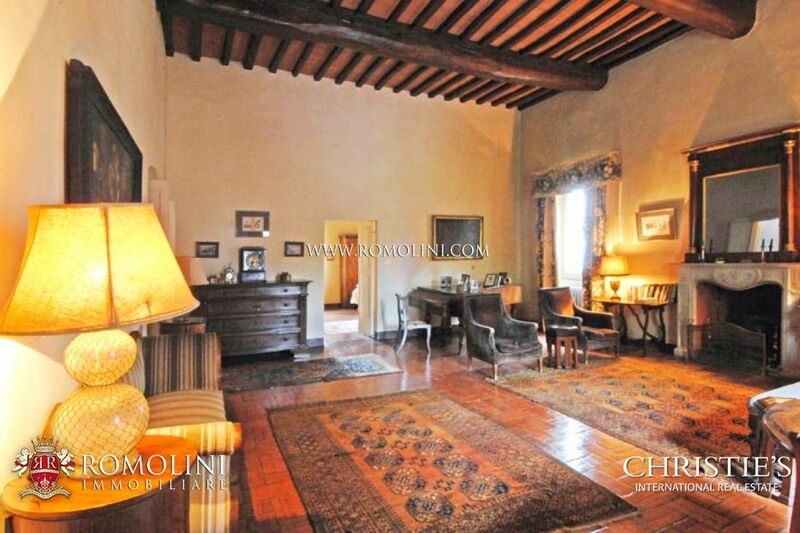 The attic space is bright and also with high ceilings, but excepting one study, it is not lived in. 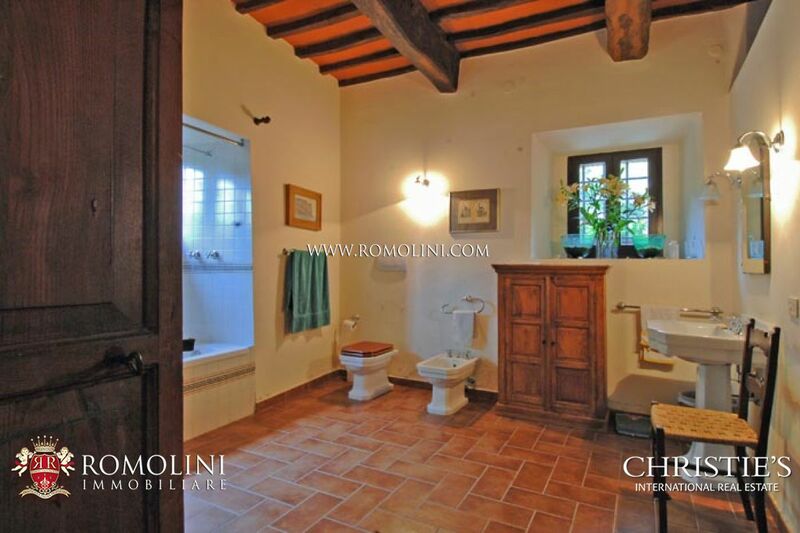 Several spaces one of which is a laundry room. 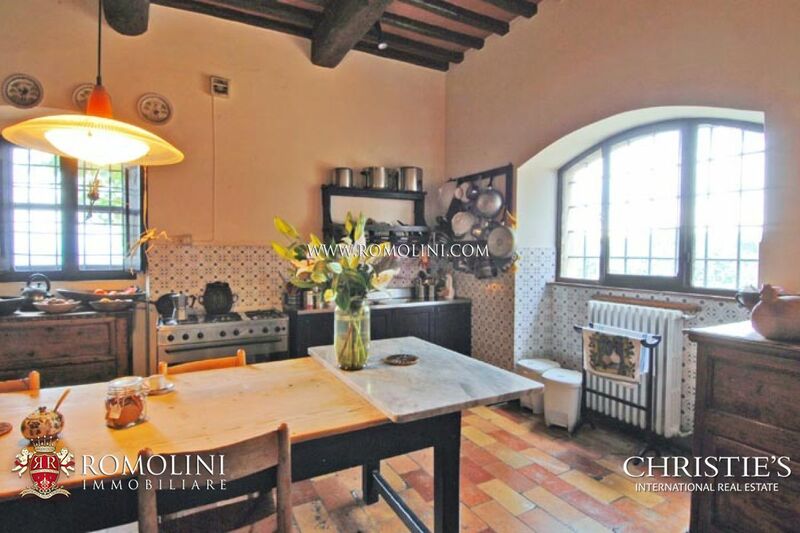 It includes a large open-space living/dining room and kitchen with fireplace on the first floor and a double bedroom, a study and bathroom on the second floor. 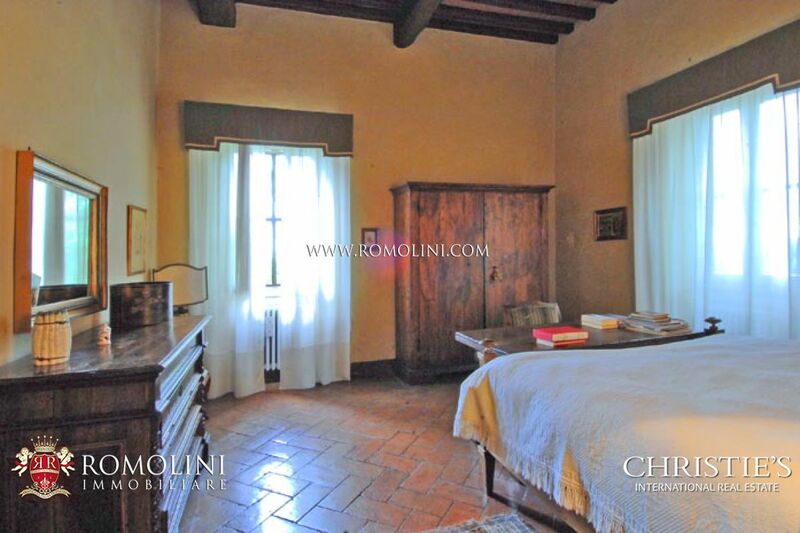 It includes a small kitchen on the ground-floor, a living room with fireplace, bedroom and bathroom on the second and large loft space on the third floor, now used as bedroom and study. 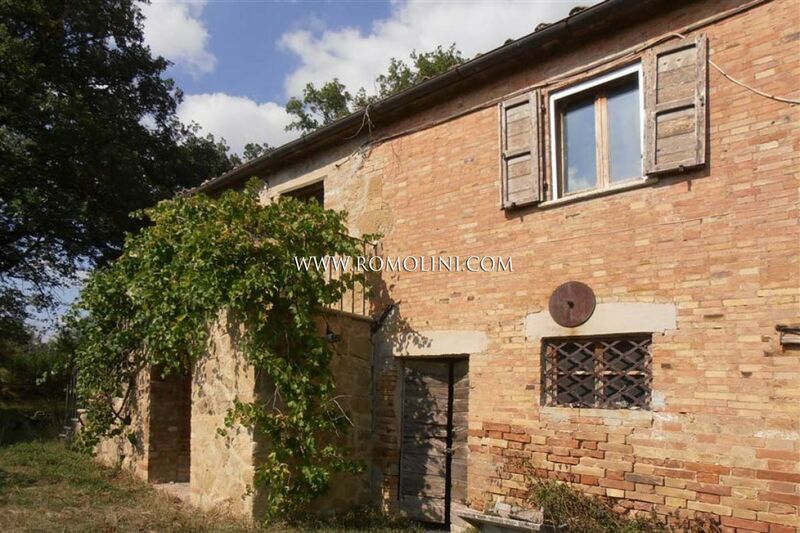 The property also includes: garage, two storages/workshops, a free-standing bread-oven and wing with 5 room used as woodsheds. 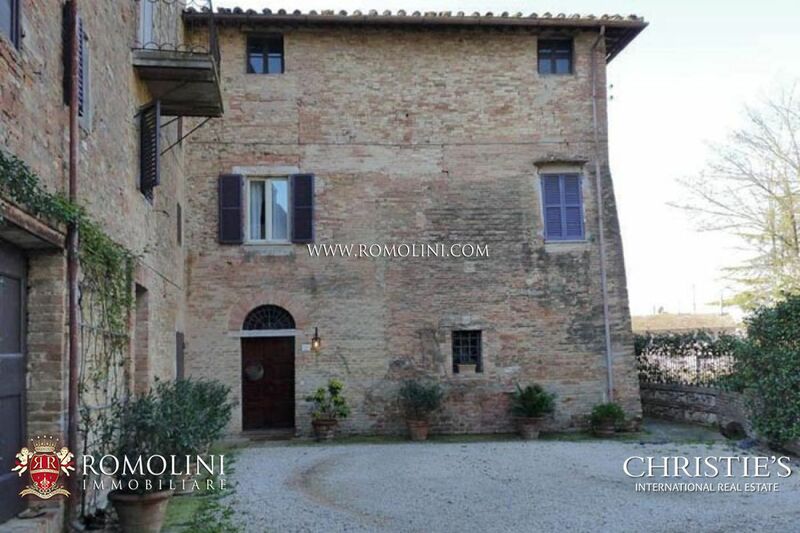 Perugia (6km;12’); Assisi (20km;28’); Spello (35km;35’); Todi (37km; 36’); Gubbio (53km;57’); Orvieto (70km, 1h 15’); Montepulciano (73km, 1h 12’); Arezzo (98km; 1h 17’); Montalcino (106km; 1h 49’); Siena (114km, 1h 33’); Roma (160 km; 2 h 4’); San Gimignano (154km; 2h 10’); Firenze (155km; 1h 45’). 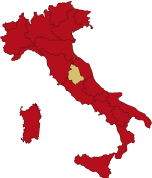 Sant’Egidio (12km; 20’); Firenze Peretola (168km; 1 h 52’); Roma Ciampino (176km; 2h); Roma Fiumicino (204km; 2h 27’).